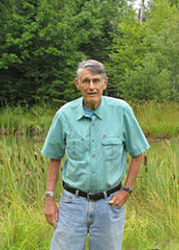 Bill Burch has been referred to as a pioneer of urban and community forestry. For more than four decades, he has founded and directed interdisciplinary programs (including the Tropical Resources Institute), developed and conducted research, crafted and taught courses, and authored and edited books on the paradigm-shifting notion that ecological enhancement and community development are inextricably linked. Dr. Burch has held research or management positions with the US Forest Service, National Park Service, Connecticut Department of Environmental Protection, and USAID. Dr. Burch has worked on institution development and natural resource projects in China, Nepal, Bhutan, Thailand, Costa Rica, Argentina, Bolivia, Paraguay, Columbia, Peru, India, Bangladesh, Philippines, Myanmar, Taiwan and the UK. To read his full interview with Biohabitats, Inc., click here.